THE FAIRY FOLK OF TARA is quoted from “The Fairie Faith in Celtic Countries by W.Y.Evans-Wentz 1911” . Get your Kindle Edition of this book here. On the ancient Hill of Tara, from whose heights the High Kings once ruled all Ireland, from where the sacred fires in pagan days announced the annual resurrection of the sun, the Easter Tide, where the magic of Patrick prevailed over the magic of the Druids, and where the hosts of the Tuatha De Danann were wont to appear at the great Feast of Samain, to-day the fairy-folk of modern times hold undisputed sovereignty. And from no point better than Tara, which thus was once the magical and political centre of the Sacred Island, could we begin our study of the Irish Fairy-Faith. Though the Hill has lain unploughed and deserted since the curses of Christian priests fell upon it, on the calm air of summer evenings, at the twilight hour, wondrous music still sounds over its slopes, and at night long, weird processions of silent spirits march round its grass-grown raths and forts. 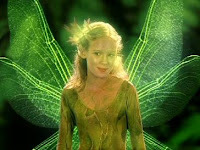 1 It is only men who fear the curse of the Christians; the fairy-folk regard it not. Celtic Poems: "Ring Out Solstice Bells"
Let us evoke the tradition of Winter Solstice with Ian Anderson’s poem “Ring Out Solstice Bells” a song featured on the 1977 Jethro Tull album “Songs from the Woods” and previously issued on a rare 1976 EP. 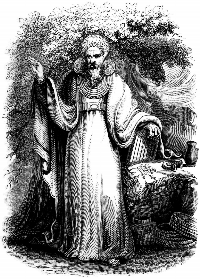 The single had a cover painting depicting Ian Anderson as an Archdruid, which curiously reminds Charles Knight’s, “Arch-Druid in his full Judicial Costume” etching from Old England: A Pictorial Museum (1845), or even Stuart Piggott’s “The Druids” book cover! All of us here at Quinlan Road, and in particular myself, would like to express our deepest appreciation for your continued support and interest in my mode of ‘musical travel writing’ and for all your letters of interest, your support and appreciation – even your constructive criticism! The greatest reward is knowing that the music has found a meaningful place in your lives. As the eve of the shortest day of the year approaches, once again there are so many things which come to mind. The joy of knowing that the days of light will now grow rather than diminish and not too far behind will be the signs of spring. And of course, it is a time of stock taking – where we have come from (or through) this past year, what has or has not been ‘accomplished’ or has happened, or how that may shape our hopes and expectations for the coming year. And no matter how difficult or challenging things may have been this year, I am sure many of us could say things could have been much worse. As a good friend so often says, “These are the good old days” and we may be well advised to enjoy and appreciate the present as much as long for better things in the future, no matter how short of the mark things may have fallen this year. In other words, life and all its challenges and wonders are a relative thing and there is much to be appreciated in the present. We must not let jewels of everyday life slip by us. These treasures may fall in the small and simple things, or even the familiar and mundane. We may simply not have taken the time to appreciate them. And yet it is also a time for renewal and hope. While things may not have turned out as we might have wanted, we are open to new experiences and new opportunities and even new chances to improve who we are. We would like to extend to all our friends around the world our warmest wishes for the Christmas and holiday season and the coming New Year. 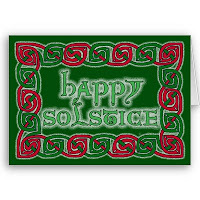 Also known as Yule, is the shortest day and longest night of the year. In much of the world today its rituals have been mingled with Christmas, let us examine in brief the ancient background of these rituals. Celts had always celebrated the Winter Solstice as a Celtic Festival. It occurs on the 21st December, or on the 22nd according to the astronomical calendar. It is a Festival of peace to celebrate the coming of the light, adn to celebrate the rebirth of the Sun God, son of the Goddess. With the coming of Christianity it’s conception was renamed as Christmas as it honours the birth of Christ. The tradition of the Yule log is related to one of the rites celebrated by Druids. The log was lit to keep evil spirits at bay, defeat darkness and bring good wishes for the coming year. They would smoulder for twelve days and a part of the log was kept to be strapped to the plough the next spring to bless the land, and another piece was taken to light the next Yule’s log. The holly and ivy are traditionally considered as part of the celebrations brought into the home to celebrate Winter Solstice. Both evergreen plants, symbolise the eternity of the sun, which never dies, but sleeps during the winter season. 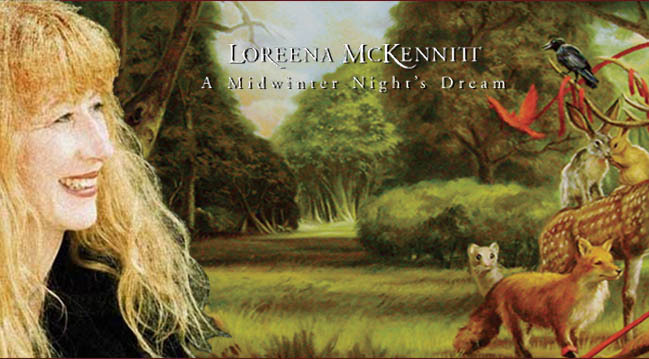 Their voices were heard in the mountain echo, amid their forms seen in the purple and golden mountain mist; they whispered amidst the perfumed hawthorn branches; the rush of the autumn leaves was the scamper of little elves–red, yellow, and brown–wind-driven, and dancing in their glee; and the bending of the waving barley was caused by the flight of the Elf King and his Court across the fields. They danced with soundless feet, and their step was so light that the drops of dew they danced on only trembled, but did not break. The fairy music was low and sweet,” blinding sweet,” like that of the great god Pan by the river; they lived only on time nectar in the cups of time flowers, though in their fairy palaces sumptuous banquets were offered to the mortals they carried off–but woe to the mortal who tasted of fairy food; to eat was fatal. All the evil in the world has come by eating. ; if Eve had only resisted that apple our race might still be in Paradise. Celtic Poems : "A Winter Poem"
My thoughts of you, yours of mine. My harp, my white steed , and I. For the steed is young, I can feel it. recalling lost summers amused with dances. For the harp desires music, I can glance it. I layed in the heather and sat aside. Spinning outside, the bad weather. the harp hushed, the ice chilled the panes. Cold wind renews the frosty steady rains. We stood alone, sharing the night. So many wails, a waiting of days. Hope truly entered my heart. It’s door is bolted with passion. No key, no code, no password. I can feel your silky hair. and can never be driven from it.